The new kid on the block has officially arrived. 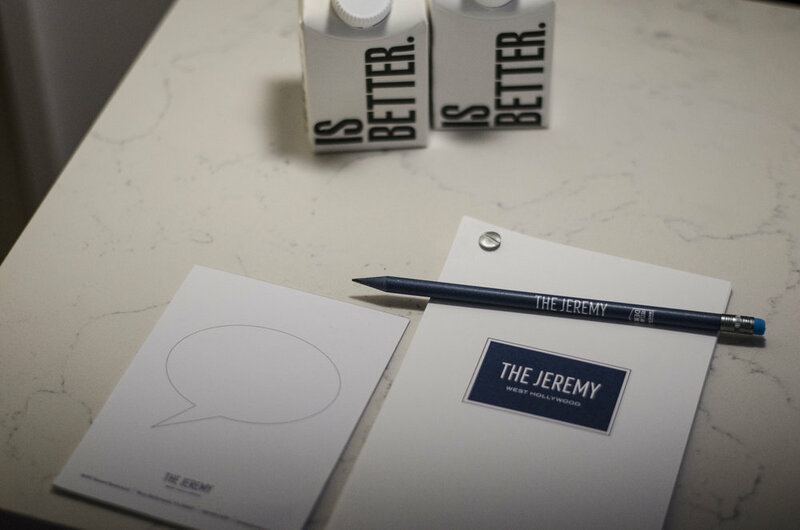 The Jeremy is the latest in trendy Beverly Hills boutique hotels with playful, design focused aesthetic and killer views of LA. With contemporary art pieces lining the unconventional lobby and outdoor spaces, you’ll think you walked into modern art gallery. 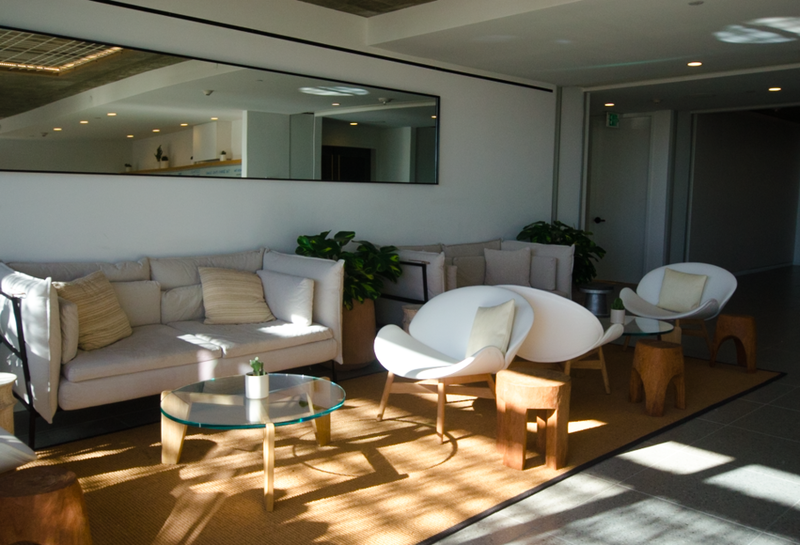 The hotel features gorgeous public areas overflowing with trendy mid century modern furniture, a cozy cafe for your morning Joe and glamorous lobby level restaurant, Joao, serving up delicious bar bites and classic cocktails in a romantic setting. Sunset Boulevard offers tons of dining options including casual cafes, salad joints and upscale restaurants. Forgot an outfit? Fear not, Fred Segal and H&M are just a few steps down the block. Hop on over to the Design District just a few minutes away or visit local open air markets on Melrose. With all of the incredible amenities, brand new guest rooms and bustling surrounding neighborhood, this Jeremy Hotel makes it easy to extend your stay one more night. The gorgeous pool deck and lounge. On a clear day the views are seriously unparalleled. The proximity to nearby dining options! We loved the Butcher Baker and the Cappuccino Maker for a latte breakfast and my personal favorite, Sweetgreen for a quick healthy salad on the go. The gorgeous glowing art installation draping the building's exterior- this is seriously one of the coolest installations I've seen at any hotel! Check it out when the sun goes down on the street level deck- the sight of the installation changing colors over Los Angeles is absurd. While I do wish our room had a balcony (none of the rooms do) it had killer views of downtown Los Angeles and the stunning homes on the hills. All rooms come with hardwood floors, 100% Egyptian cotton bedding (and incredibly comfortable beds) full-sized environmentally friendly Appelles bath products, Beats Bluetooth speakers, spacious wardrobe cabinets and a 50 inch Smart TV. We enjoyed a wonderful light dinner and cocktails before heading out at Joao Lobby Bar, located on the lobby level just past the Etcho Lobby Cafe. Don't miss the Duck Bao Buns and the Burrata Pesto Toast with heirloom tomato confit and pepita pesto- our top two picks! The bartenders were knowledgable in their trade and whipped up some classic cocktails with a twist all night long. The Deal Breaker was my personal favorite. Happy hour is served daily from 4-7pm. Select from wines by the glass, beer and well cocktails from $7. The West Hollywood Design District is open daily and just around the corner!